Are you in the market for a 12,000-plus-square-foot mansion with every luxurious amenity known to mankind? Well then look no further because your dream home can be found at 120 Munn Lane. 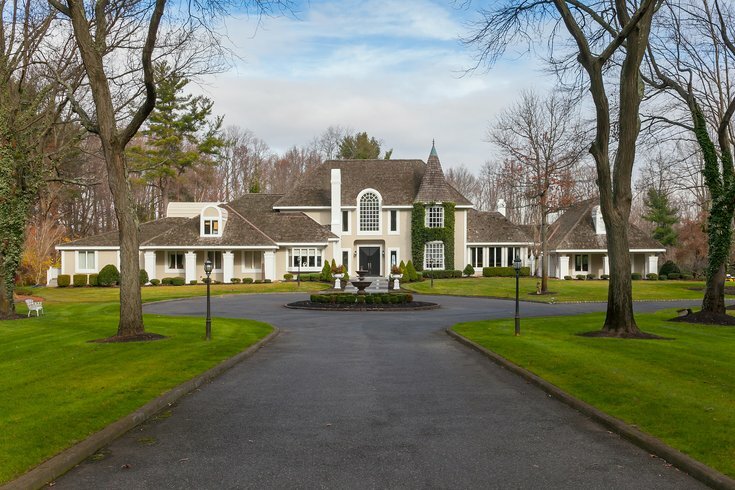 Situated on nearly 10 acres of prime real estate in Cherry Hill, New Jersey, this massive estate is being offered for only $2,250,000. Do you find yourself craving a master suite with two fireplaces and four walk-in closets? How about enough garage space to fit 14 cars? Does your wish list include a great room large enough to host your company’s holiday party, a tennis court for weekend tournaments or a laundry room larger than the average-sized kitchen? If you answered yes to any of these questions, this may just be the perfect home for you. Get an inside look at this masterpiece below. You’ll be making an offer in no time at all. 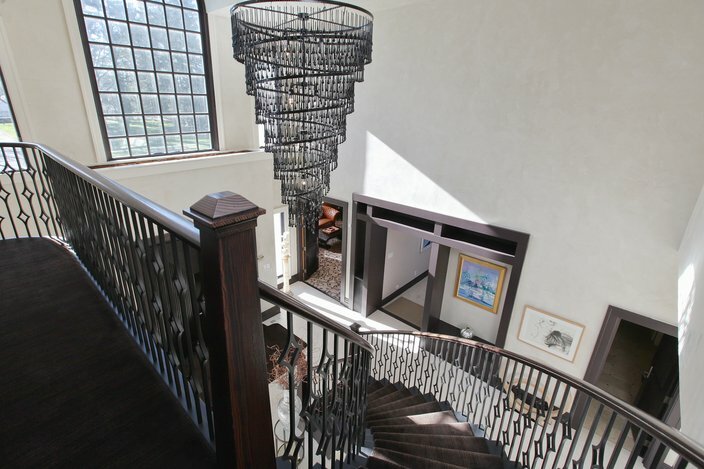 The gigantic foyer features a dramatic chandelier and heated limestone flooring. 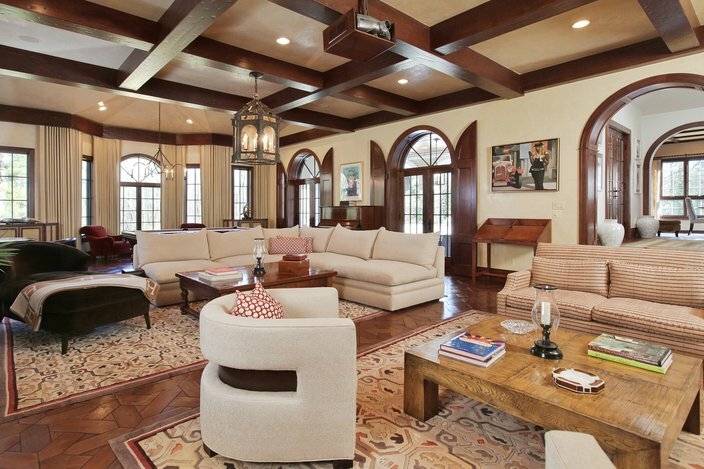 Right off the foyer you’ll find a large, eclectic living room. Step up into a formal dining room that features custom cabinetry and floor-to-ceiling windows. 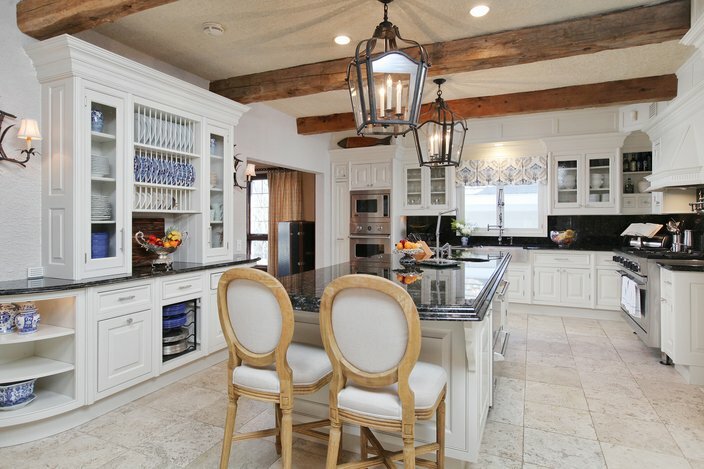 A professional-grade kitchen boasts a Viking stove, double ovens and a Subzero fridge. 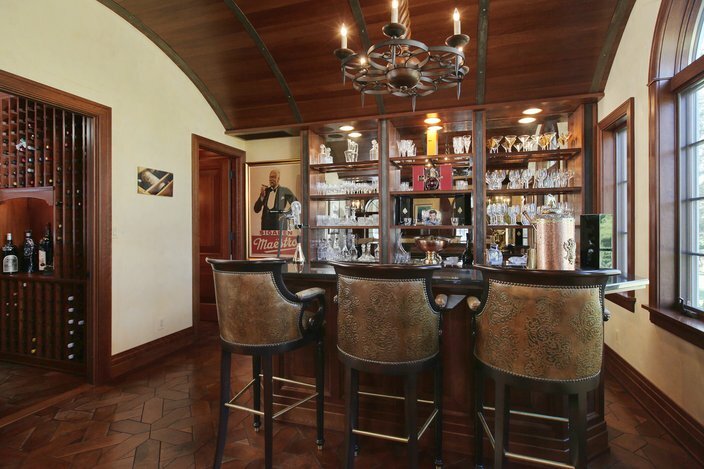 …a custom bar and a wine & humidor area. The stylish den combines modern, built-in entertainment with a full stonewall fireplace. …and a ridiculously sized master bathroom. Through the great room’s doors, you’ll find a luxurious outside veranda. 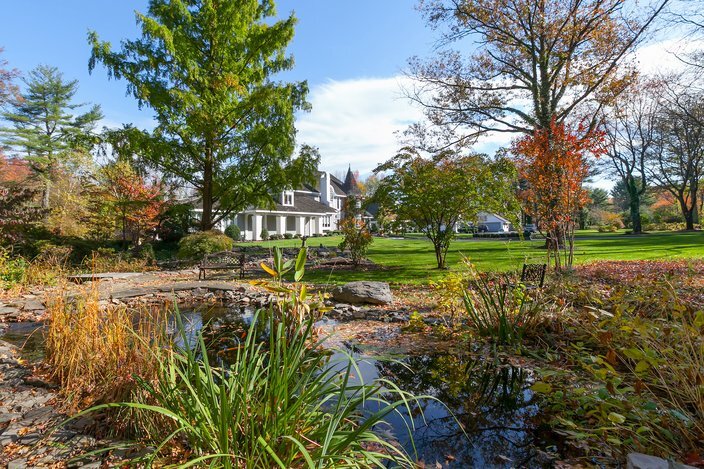 If the inside of this estate isn’t enough for you, there are more than nine acres of beautiful grounds to explore. To see more photos of 120 Munn Lane, view the full listing here.